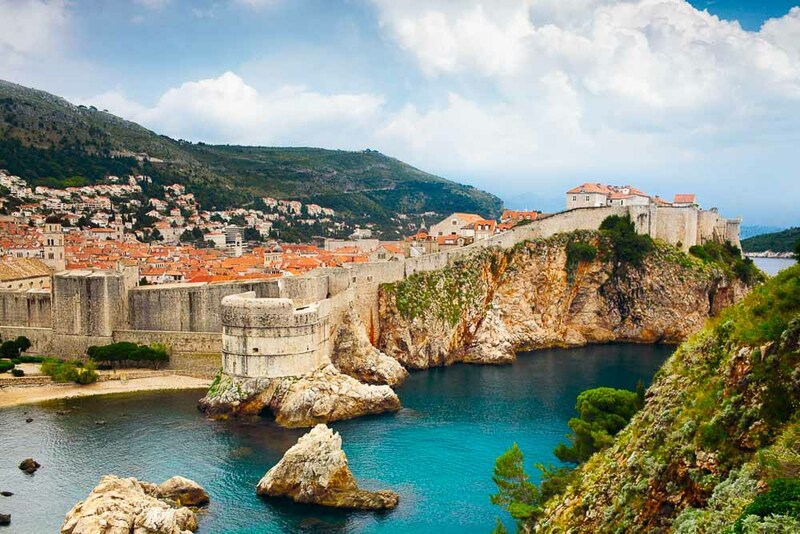 The spot for intimate cliff-side drinks, Dubrovnik, Croatia. There are some places you visit that stay with you long after you’ve left, and leave you hankering for more; here, some of our favourite places on the planet. Tobermory on the Scottish isle of Mull is ridiculously picture- postcard with its little harbour lined with gelato-hued houses, and if you visit during the colder months you’ll have the place to yourself. The supernova Silk Road cities drew me in, but a village-to-village trek through rarely traversed Nuratau Mountains is where you’ll get intimate with Uzbekistan. Mornings are bottomless pots of green tea, shared curiosity, followed by a robust lunchtime plov. Languid walks through rubbled villages with mysterious petroglyphs eventually land you in the next guesthouse, where you’ll toast often with sharp local vodka. Just a two-hour train journey north-west of Paris is one of the most idyllic French towns I’ve ever visited. Located on the Côte Fleurie, Deauville is where Parisians flock to the seaside, with its pristine beach peppered with colourful parasols and its boardwalk Promenade des Planches, which was an aristocratic playground back in the ’20s. But it’s the beautiful town centre that had my heart: immaculate cobbled streets, half-timbered Norman houses, pretty flowerbeds and fountains, buzzy restaurants and elegant boutique stores (Coco Chanel opened her very first boutique here back in 1910). It’s romantic and chic all at once. My husband and I were exploring the walls of Dubrovnik Old Town in Croatia when we came across a very subtle stone entry way. Stepping through to the other side revealed the most incredible bar. Clinging to the cliffs and terraced down to the crystal-clear water were tables shaded by umbrellas where waiters deposited drinks and delivered snacks. We stayed for hours, watching the swallows play, local kids jump from the rocks and the sun setting. It was magic. While not exactly a secret, the cliff-hanging town of Peschici is often overlooked in favour of the Amalfi Coast. There to discover my husband’s ancestral roots, we were enthusiastically shown around the ancient walled city of bougainvillea-covered, white-washed walls and 100-year-old residences. We ate our body weight in stuffed cuttlefish caught by his distant cousin that same morning. We were driving through Arthur’s Pass on New Zealand’s South Island and came across an incredibly charming little white bridge that ran above the unbelievably clear, light blue waters of the Waimakariri River. It was summer so the sun was gleaming, but at the same time there were snow-capped mountains that stood majestically behind vast fields of tall, golden grass that we were frolicking in. We were like children in a playground – a playground that was enormous and only we knew about. There’s a secret path that leads down from the clifftop campsite of North Morte Farm On the wind-swept Devonshire coast. Most people come here to spend a sunny weekend on the sands of nearby Woolacombe, the closest thing they have to an Aussie surf beach. But follow the cliff path from the camp and you get to an altogether more English affair, with dramatic outcrops of granite scarring a pebble beach. Make a campfire among the rocks, open a bottle of champagne and watch the stars climb.